There are concerns a growing number of nations may be returning to a more protectionist stance on air traffic rights, leaving Australia isolated as one of the most open places for foreign carriers to fly to in the world. Department of Infrastructure and Regional Development secretary Mike Mrdak says opening up Australia to overseas airlines has been of great benefit to the national economy, with passenger traffic and aircraft movements trebling since 1992. However, many foreign governments are not sharing Australia’s enthusiasm for more open access. 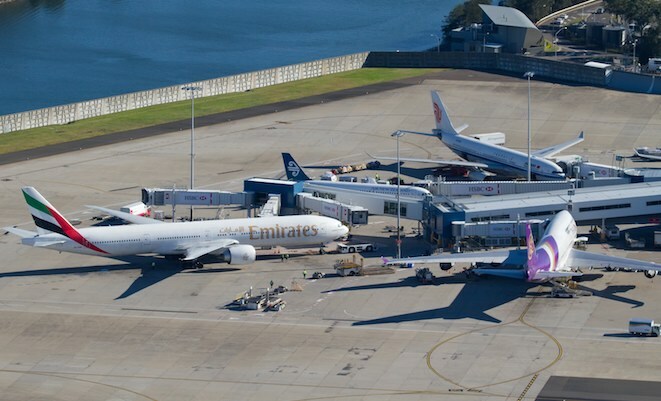 “The reality, and this was evident recently at the ICAO worldwide air transport conference, is that the international trend is actually away from liberalised open markets,” Mrdak told the CAPA Australia Pacific aviation summit in Sydney on Friday. The rights for airlines to fly to a particular country are negotiated through a series of bilateral air services agreements. While the current regulatory system was far from perfect, with Australia pushing for a more regional approach to traffic rights, Mrdak conceded it was here to stay. About half of all international passengers to and from this country had come from nations that had an open skies agreement with Australia, highlighting Australia’s liberal market credentials, he said. Mrdak said the Department faced a lot of difficulties negotiating bilateral agreements with a number of countries, including Hong Kong and the nations of Europe. He said an Australian proposal for single agreement between Australia and all of Europe had been on the table for the past five years but was not being pursued. “I am worried that every time we talk to European officials they keep coming back with terms such as fair competition, they seize on things like food miles and other arguments about why we should be more cautious about opening markets,” Mrdak said. “Which to me is really just pushing a protectionist position. Mrdak said Australian airlines have been forced to operate to and beyond Hong Kong under some very onerous restrictions in the past. “Hong Kong remains one of the most protectionist regimes in the region, if not globally,” Mrdak said. It was understood Hong Kong-based Cathay Pacific was pushing for an increase in traffic rights, given the carrier currently flies the maximum 70 flights a week to the four major Australian gateways of Brisbane, Melbourne, Perth and Sydney. In return for greater access for Hong Kong carriers into Australia, negotiators were believed to be seeking more rights, or less restrictive rights, for Australian airlines to fly beyond Hong Kong to other points. Meanwhile, Mrdak said there were some positive steps being taken on making travel between Australia and New Zealand easier. However, a common border between the two nations was unlikely in the period ahead. “The reality is we are not heading towards a common border in the foreseeable future as I see it for a variety of immigration and customs and border issues,” he said. Mrdak said immigration and customs had made a lot of progress on issues such as IT systems and biometric data. The only problem with open skies is that it is very difficult for our national airlines to compete against the lower cost base, lower tax regime of the predominantly government owned, foreign airlines operating into Australia. In any other industry it would be called capacity dumping ! !